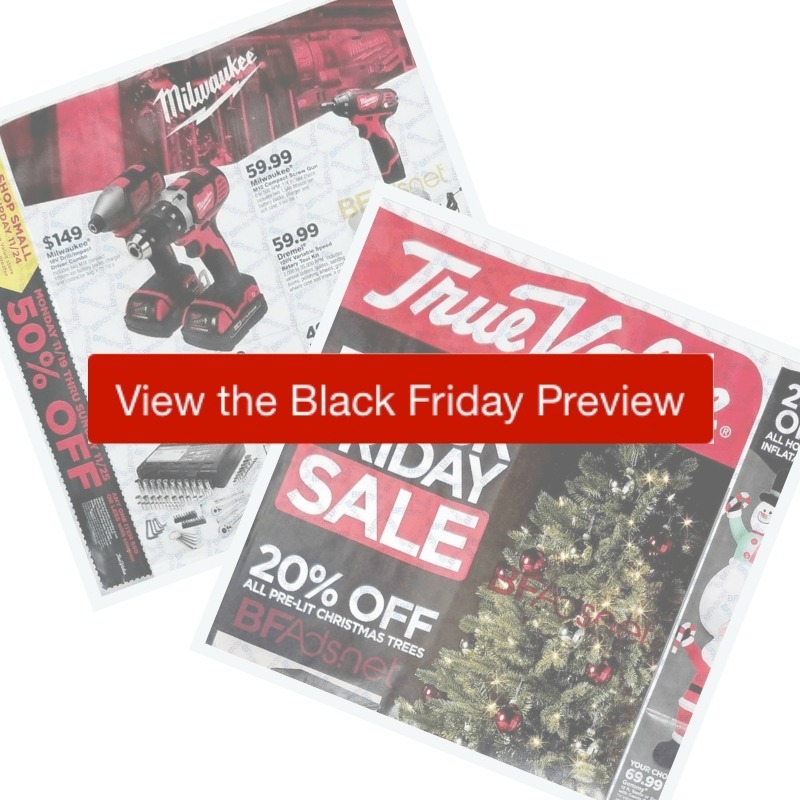 Check out all the deals in the 2018 True Value Black Friday Ad. They are running a 50% off coupon after Black Friday, plus there are a few good rebate deals to grab. See the full ad scan below. The ad does not state what time doors are opening, so check with your local store for specific times on Friday.